Letting success for new Liphook office/industrial business park built by East Hampshire District Council | Curchod & Co.
Acting on behalf of East Hampshire District Council, Curchod & Co in conjunction with joint agent, Holloway Illiffe & Mitchell are delighted to announce the completion of the first letting at Ordnance Business Park. Lumi AGM UK Limtied, a leading player in software and real time audience engagement technology have taken a 10 year lease on the majority of Armoury House at Ordnance Business Park. 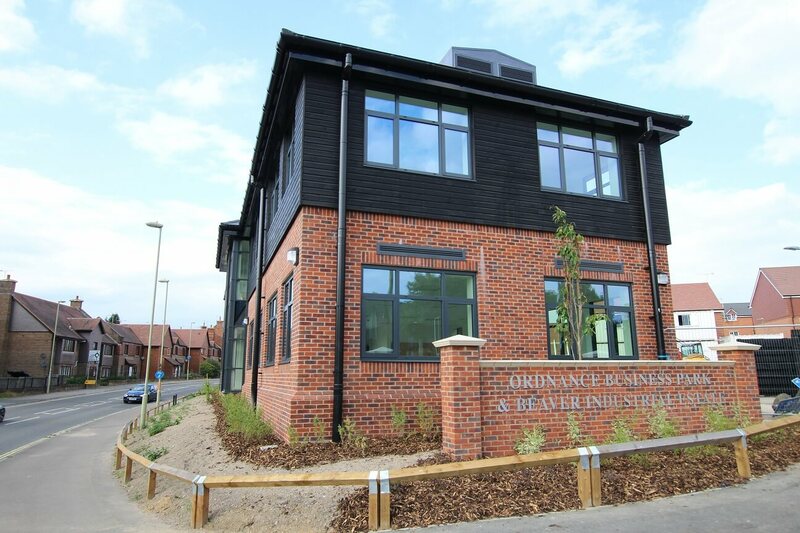 Ordnance Business Park which is located on Midhurst Road close to the Liphook mainline railway station is a joint venture between East Hampshire District Council and the Enterprise M3 Local Enterprise Partnership to provide much needed business space to the region. East Hampshire District Council prides itself on being one of the most business friendly Councils and the income generated from businesses occupying Ordnance Business Park will generate rental income which will be reinvested back into local economic development projects and help contribute towards the Council’s goal of becoming financially independent. Curchod & Co’s Partner, Nick Reeve, said that Ordnance Business Park has proved extremely popular with occupiers who are finding it increasingly difficult to secure good quality, modern business accommodation. As things stand we have two other lettings in solicitors hands with a further following close behind. To find out more about Ordnance Business Park or other office and industrial premises that are available in the Liphook area please contact Curchod & Co 01252 710822.